We partner with our clients to create intelligent solutions that solve their business needs. How do we do it? We create customized internet marketing services, including strategic website design and development, mobile development, social media strategies, search marketing (SEO, PPC) and email programs for organizations of any size and industry. 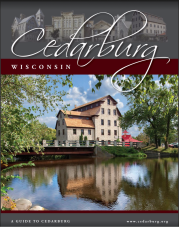 Headquartered in Milwaukee's Fifth Ward with a satellite development space in Cedarburg, WI on Hamilton Road.